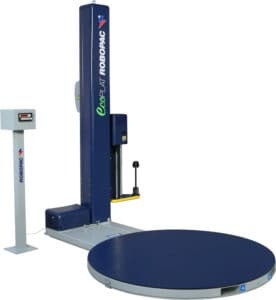 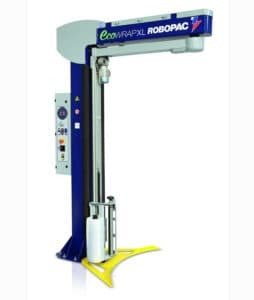 Robopac is providing a wide range of vertical pallet stretch wrapping machine which designed to wrap product of any type, shape or size. 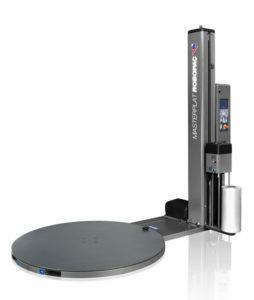 You can choose semi-automatic and automatic turntable stretch wrapping machine. 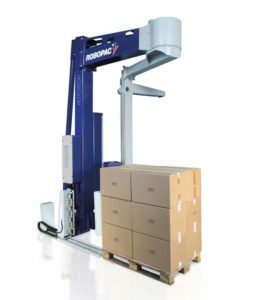 Attractive design and sophisticated technology combine in Master to create a solid & reliable robot that wraps loads on pallets. 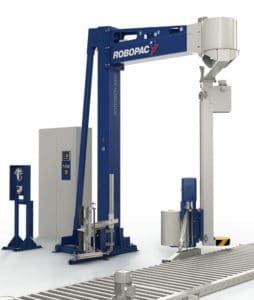 Robopac presents a new range of self-propelled packaging machines, Robot S6. 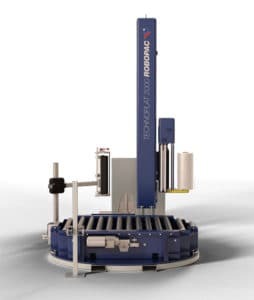 The combination between the catchy design and the sophisticated technology makes Robot S6 the absolute leader in its sector. 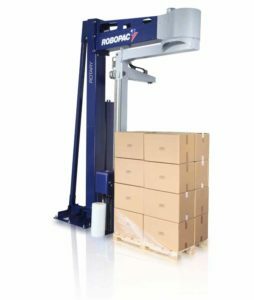 Due to its extensive experience, Robopac is now introducing a new range of entry level self-propelled wrapping machines, the Robot Master. 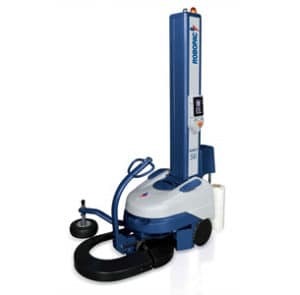 Rotary is the ideal solution for wrapping the particularly unstable products with stretch film. 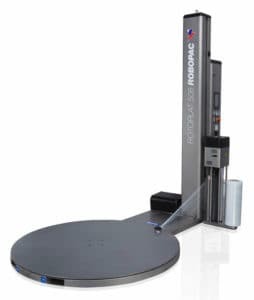 ECOPLAT is available in two versions, Basic and FRD. The Basic version is equipped with panel with electromechanical buttons, the FRD version has a panel LED display and a parameters selector by JOG. 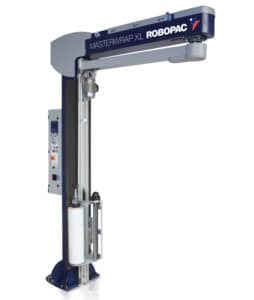 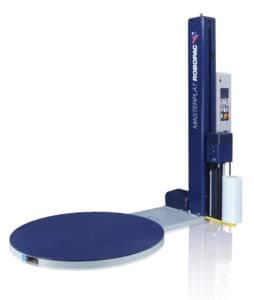 Masterplats are the latest range of Turntable Pallet Wrappers from Robopac. 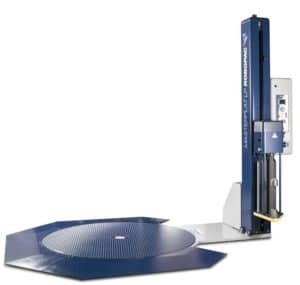 Designed using the best features from the Ecoplats with the performance of the Rotoplats. 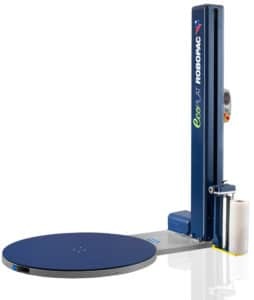 Masterplat Plus LP is a turntable wrapping machine for wrapping products with stretch film in vertical. 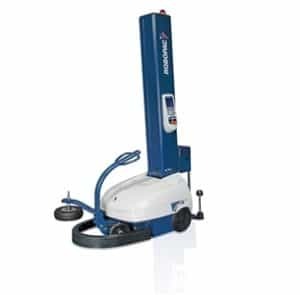 The operator can access from every side and load the machine with a hand pallet truck via the suitable ramp or using a forklift truck. 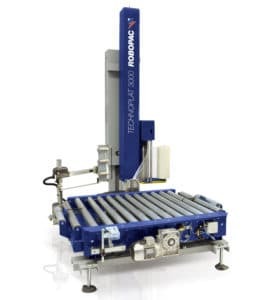 Robopac is introducing Multilevel control for the first time, the innovative hardware and software solution installed on all Rotoplat Series 8 models. 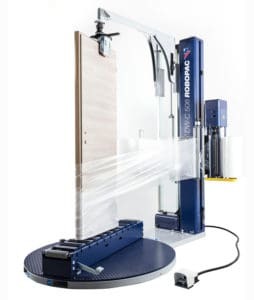 Technoplat CS and CW are automatic wrapping machines and represent the innovative solution to fully automatic pallet wrapping. 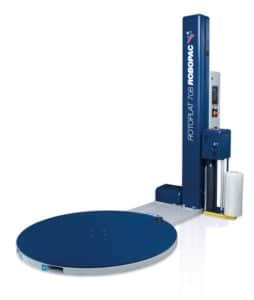 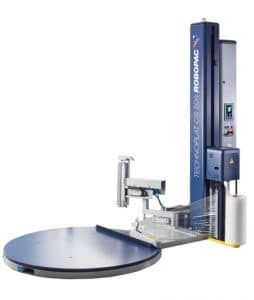 Technoplat 2000 is a high-performance, highly automated wrapping station for an end-of-line packaging. 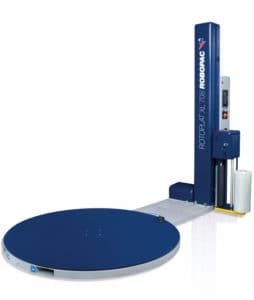 Technoplat 3000 is a high-performance, highly automated wrapping station for an end-of-line packaging.